Question: What is the CEM 11+ test or CEM 11 plus exam? Answer: The CEM 11 Plus test or CEM 11+ exam is a selective test devised by Durham University that is usually made up of two tests, each taking between 45 to 50 minutes to complete with a combined total of just over 200 questions Content includes English & Verbal Reasoning (comprehension, synonyms, antonyms, cloze sentences & jumbled sentences), Non-Verbal Reasoning (NVR) and Numerical Reasoning and Data-processing (Maths) . 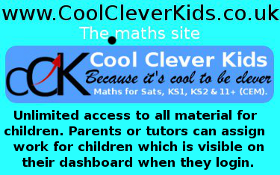 The test is aimed at children between the age of 10 and 11 years old and scores are standardised by age. Answers are usually marked on separate sheets and computer marked. Past test papers are not released. Tutors and websites often collate content gleaned from students. Comprehension tests the ability to make inferences as to meaning within and between phrases, sentences and paragraphs; to derive the ‘gist’ of the meaning from a text; understand the vocabulary, and extract accurate interpretations of the written language. This section typically has 20-23 questions and lasts approximately 15 minutes. 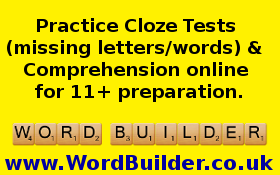 Cloze tests consist of several short passages of prose. It needs an overall understanding of the passage, but it requires closer attention to the grammatical and syntactic elements of written language than in the comprehension test. This section lasts typically 10-15 minutes. 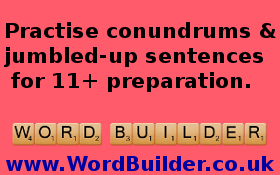 Jumbled sentences consist of a number of jumbled words and a student selects one word that is not required to form a sentence. These type of questions do not always appear. This section lasts typically 10 minutes. 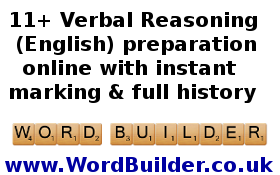 Verbal reasoning involves the manipulation of verbal representations and the solving of verbally presented problems. Orthographic, syntactic and semantic abilities, as well as logic and other problem solving skills are needed in verbal reasoning. 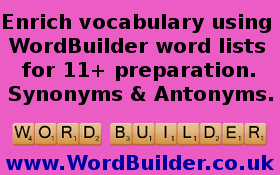 A rich vocabulary is essential and understanding of synonyms and antonyms.This sectiion typically lasts 15 minutes. 2. Numerical Reasoning: Mathematics & data-processing comprises just over one-third of the test, by time, typically 30-35 minutes. Mathematical questions test ability in mental arithmetic and recognition of mathematical patterns (curriculum free as possible). There is a rigorous test of working memory skills with a speed element in this section. Some questions explore problem solving requiring multi-stage processing with a greater reading element. Calculators cannot be used during the test. 3. 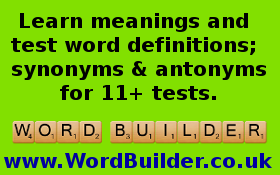 Nonverbal reasoning (NVR): Comprises of less than one-sixth of the test, by time, typically 10 to 15 minutes. The section seeks to eliminate cultural bias in testing and the possible bias against individuals who may have difficulty with verbal elements.Sequences and grids are common. All three components involve a speed element. 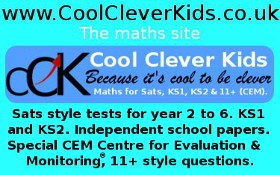 The eleven plus tests are administered by CD in individually timed sections. Each paper consists of three to four sections. 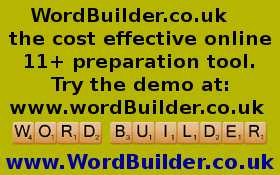 For example a paper may comprise of a 20-minute section on verbal reasoning; 10-minutes short maths, and 15-minutes comprehension followed by a second paper comprising of 20-minutes longer maths; 15-minutes data-processing; 10-minutes non-verbal reasoning and, 10-minutes cloze passages (missing words in a paragraph). The format of the papers can change from year to year, for example numeracy may comprise of one 25-minute section, and one 10-minute section as opposed to three individually timed, sections. Each section is individually timed so children cannot go back to a section. Typically there are between 100 and 125 questions per paper. As time pressure is immense, many children will not finish all the questions. Each child’s raw score in the two tests are added together and the resulting score is converted into an age standardised score, to make an allowance for younger children. The standardised minimum or automatic qualifying scores differ in various regions and cannot be directly compared between regions. Different 11+ tests are usually set for different admission areas as some children take multiple tests in areas that are in close proximity. The mathematics resonates from very easy quick fire to questions, to complicated multi-step questions. 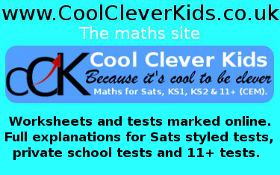 Worded maths questions as well as charts and tables are typical. 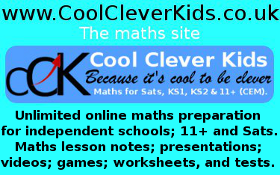 Knowledge of year 6 maths is required, meaning children would benefit being one year ahead. Birmingham (and now Warwickshire) awards half the marks for the verbal reasoning section, whilst the maths and non-verbal reasoning marks are combined (25% each) in their standardised scores. Prior to 2014 entry Warwickshire provided an equal weighting to all three sections, so children with poor English skills could easily gain a grammar school place. Because past 11+ papers from CEM Centre for Evaluation and Monitoring® are not released, it is possible for past questions to appear in future papers particularly in the numeracy section. Vocabulary may also reappear. 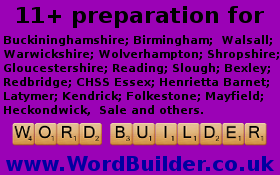 Warwickshire County Council has stated in writing: `The 11+ tests we use contain between 100-125 questions, which need to be completed in a very short time. Many students do not answer all of the questions but still perform well in the test. Due to the nature of the test and the questions used, it is unlikely that children would be able to remember the questions used. This is a view shared by the University of Durham who provide the test papers for WCC. They have used this as a justification for using the same test on different dates even though it was brought to their attention, over a number of years that children do remember questions and these are passed on to late sitters. 11plus.eu believe the testing system is compromised and not fit for purpose.